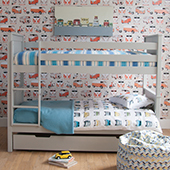 Our Nordic inspired Classic Beech Bunk Beds with pull out trundle, are made from solid beech hardwood (no soft, knotty painted pine in sight!) They are undeniably strong and durable, and have been safety tested by our experts. 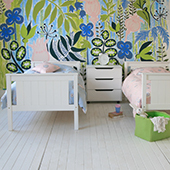 Featured here in our versatile Pure White paint, they are also available in Pure White. The storage trundle can be rolled out from under the bed; pop in a trundle mattress to turn it into an instantaneous sleepover solution! 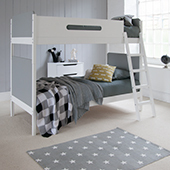 Once the sharing phase is over, these bunk beds split down into two full size singles; ideal for a guest room. 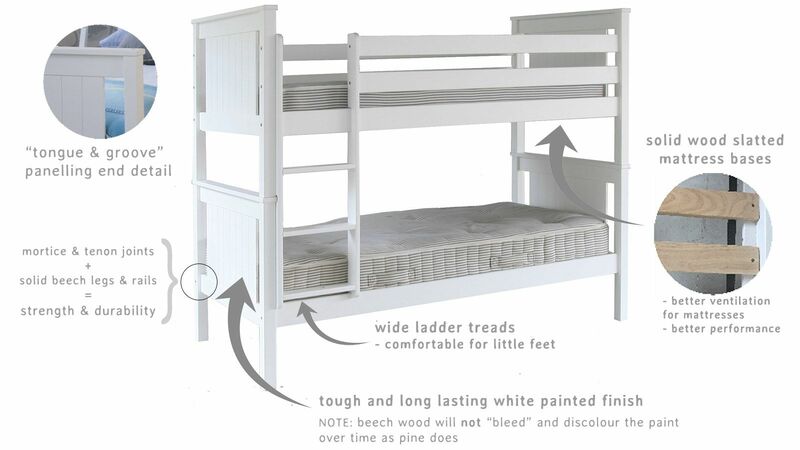 So, if you're looking for a classic bunk bed, with exceptional specification, we think you may have just have discovered it! What is it made from? Solid beech hardwood end frames, bed rails and ladder. Composite panels. Solid Beech wood mattress slats - strong, allows mattress to "breath"
What size mattress is needed? Full size Adult Single 190cm x 90cm (6'3" x 3ft). Sold separately. 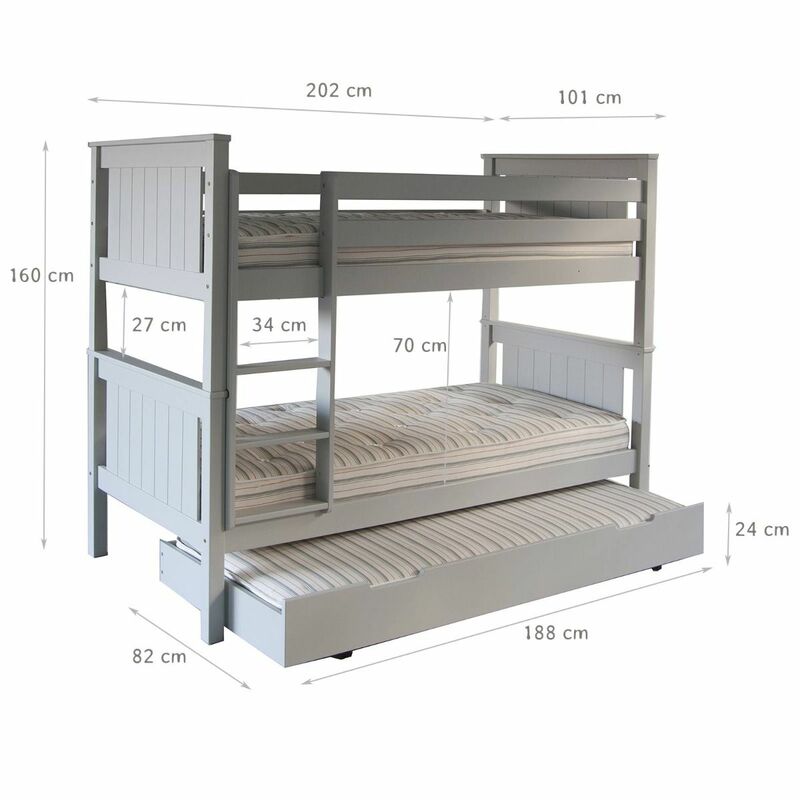 High Bed Safety Mattress required for the top bunk - maximum thickness 15cm. How easy is it to assemble? Minimal Self Assembly required - Takes approximately 30 minutes.